Christianity first came to the north through the marriage of the Angle King Edwin to St Ethelburga princess of Kent and his consequent conversion. He was baptised in 627 in a small wooden church built for the purpose in York by St Paulinus. He had been made bishop in 625 in Kent to accompany St Ethelburga on her trip north. St Edwin afterwards built the church in stone. 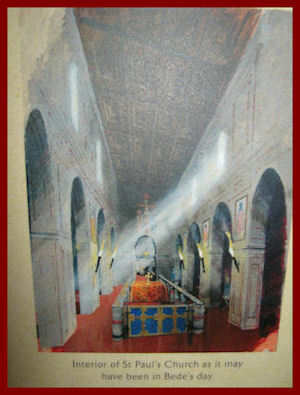 Significantly the church lay within the headquarters of the Roman camp and was called St Peter’s in order to make clear its connections with Rome. But though Edwin and many of his people were baptised, he was not the first. One year previously St Eanfled, the daughter of Edwin and St Ethelburga was baptised, along with 11 others of the royal household in 626. Edwin and St Paulinus worked on the conversion of Lindsey (Lincolnshire) and of the East Angles. However Edwin however was slain in 633 (and accorded saintly status) and St Paulinus had to go back south. The introduction of Christianity into Anglo-Saxon England was tied into the fortunes of their respective kingdoms: Northumbria, Kent, Mercia, Lindsey, East Anglia, Essex, and Wessex. The monasteries too were highly involved, because they were founded by members of royal families who often lived in them; as such they were an integral part of the Anglo-Saxon political, religious and social system. Due to the politics royals often spent time in exile in another kingdom than their own. It was usual in those days for the people to follow their king in matters of faith. He became king over the two Anglian kingdoms of Bernicia and Deira with territory stretching right the way from the Firth of Forth in Scotland to the Humber and Mersey. Oswald needed someone to teach his people the faith and so he sent to Iona. St Aidan, an Irish monk, with twelve others, was eventually sent. 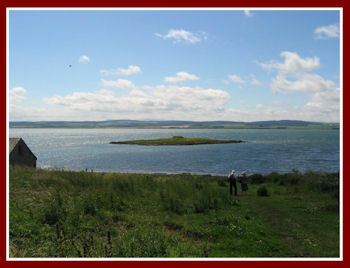 Oswald gave him Lindisfarne, a tidal island, to be the site of his monastery. It would have been a simple affair, with a small church, round bee-hive cells, and workshops. It was also a place of study and training. 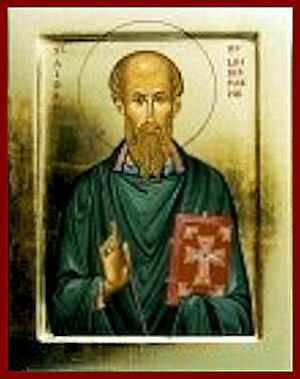 St Aidan was also made bishop of Lindisfarne. The site of his monastery lies under the present church; the later abbey stands next door. The King’s castle lay close nearby, at Bamburgh nearby, a powerful symbol of the unity of king, church and people. Lindisfarne is indisputably the Holy Island of Britain. Typically, in the tradition which St Aidan represents, islands like Iona, and others in Ireland, Wales and Gaul, were chosen for their solitude for the sake of prayer. But they were also bases for evangelism. Bede says: ‘the highest recommendation of his teaching to all was that he and his followers lived as they taught’. ’He never sought or cared for worldly possessions, and loved to give away whatever he received from kings or wealthy folk. Whether in town or country, he always travelled on foot, unless compelled by necessity to ride, and whenever he met anyone, high or low, he stopped and spoke to them. If they were heathen, he urged them to be baptised; and if they were Christians, he strengthened their faith and inspired them by word and deed to live a good life and be generous to others. Aidan cultivated peace and love, purity and humility; he was above anger and greed and despised pride and conceit. He set himself to keep and teach the laws of God, and was diligent in study and in prayer. He used his priestly authority to check the proud and the powerful; he tenderly comforted the sick; he relieved and protected the poor. I greatly admire and love all these things about Aidan, because I have no doubt that they are pleasing to God." 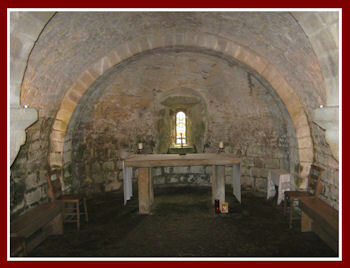 The glory of Lindisfarne is the little hermitage on the island St Aidan used for prayer. St Heiu, an Irish royal, was made the first abbess of Hartlepool; but in 649 she went to another monastery at Tadcaster in North Yorkshire. 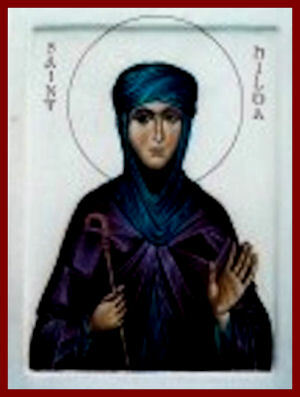 St. Aidan persuaded the great neice of St Edwin, St Hilda, to return from her own exile. She had been baptised along with St Edwin by St Paulinus. S Aidan consecrated her as abbess of Hartlepool after the departure of St Hieu, and in 657 as abbess-founder of Streonshalh, now known as Whitby. This was a double monastery where the men and women lived separately, but worshipped together in church. Such double monasteries under an abbess were characteristic of very many Anglo-Saxon foundations. St Ebbe was another Anglian princess who founded monasteries, first at Ebchester in Co Durham, and another one at St Ebbe’s Head, later known as Coldingham. This too was another double monastery ruled by an abbess. But they were also proteges of King Oswiu, who sent St Cedd to evangelise Mercia. 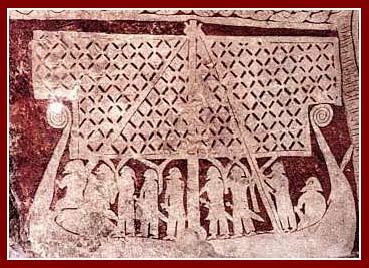 In the event , their king remained pagan. A year later Oswiu sent St Cedd to be Bishop and evangelist in East Anglia. 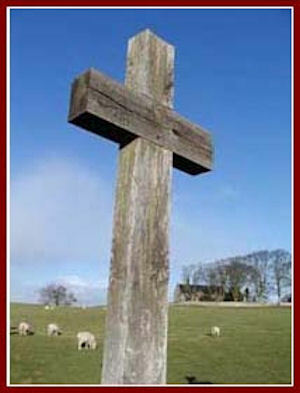 St Cedd was also made abbot of the monastery at the royal foundation of Lastingham on the wild North Yorkshire moors. He died there of the plague in 664. 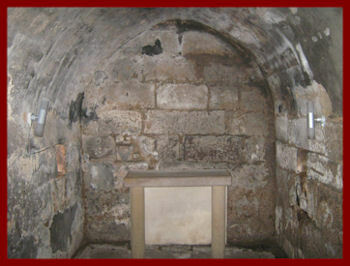 A stone church replaced the wooden one and his shrine can still be seen in the crypt. King Oswiu wanted St Chad to be bishop over all Northumbria. But at the time he could find no one to ordain him except the Bishop of the West Saxons and two Welsh/British bishops. This shows that the British/Welsh were not quite so isolated from the Saxons as usually supposed. But the ordination was not in accord the Roman canons: in 669 the new Archbishop of Canterbury, St Theodore of Tarsus, made St Chad step down. The story of Northumbria began with great glory. But the days of the wide-ranging peripatetic monk bishops on the Irish and Northumbrian model were numbered. The arrival from Rome of Theodore along with Hadrian as abbot of St Augustine’s Canterbury, signalled the development of smaller reformed dioceses, of men of learning based in urban centres. From now on a different order prevailed. The Synod of Whitby in 664 signalled a tide that was coming in everywhere in Europe and it was not going to stop. 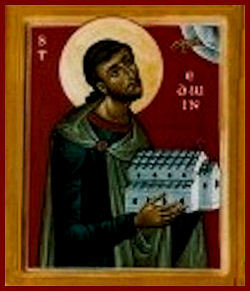 St Cuthbert, it is said, while still a shepherd boy, saw the soul of St Aidan being borne up to heaven on his death. He became a monk under St Boisil at Old Melrose on the river Tweed on the Scottish borders. On St Boisil’s death in 664 St Cuthbert became prior of Old Melrose in 664. He ministered to people in much the same way as St Aidan had done. He travelled across the country from east and west several times from Berwick as far over as Galloway. He became known as a ‘wonderworker’. St Bede speaks of St Drithelm who, after appearing to die and see the horrors of hell, sat up on the funeral bier and began to tell everyone what he had seen He afterwards led a life of prayer and repentance at Old Melrose. He finally died about 700. 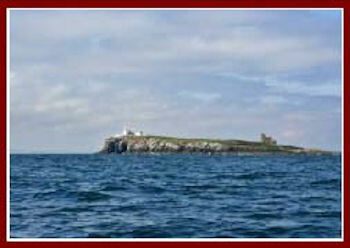 In 676 St Cuthbert sought the solitary life and settled on one of the Farne islands, south of Lindisfarne. In 674 he was elected Bishop of Lindisfarne but after nine months retired again to the Farne Islands where he died in 687. It must have seemed then, as it still does today, like the passing of an age. Many holy wells are dedicated to the Saint. The west end of Durham cathedral is built over a well and another, dedicated to St Cuthbert, lies nearby. There is one at Bellingham, northumbria, and another at Scorton (also Cuddy Keld) in North Yorkshire with others in Cumbria. 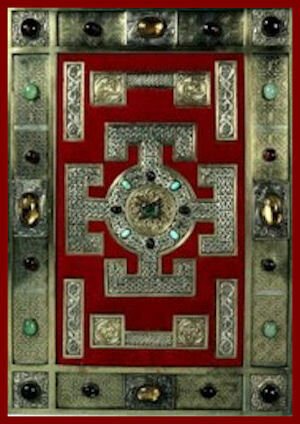 The great Lindisfarne Gospel book was probably produced about 715 in honour of St Cuthbert. In the 10C the first translation of the Gospels into the (Anglo-Saxon) English language was made from this book. 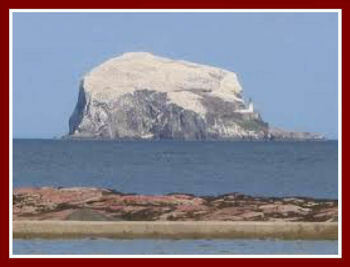 The monks of Lindisfarne set up a monastery at Abercorm 7 miles west of Edinburgh. 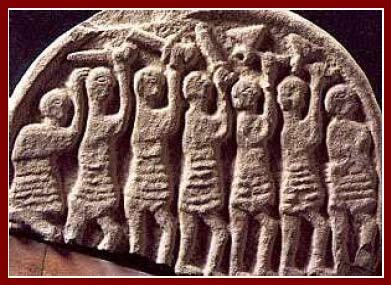 St Trumin was made bishop by the Northumbrians in 681 but the Picts defeated them in battle in 685 and they had to return south. 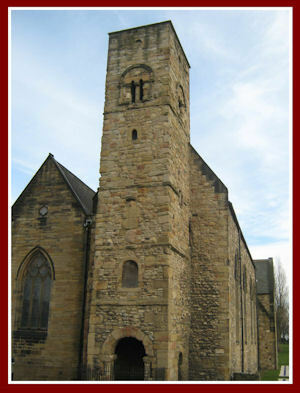 The lower part of the Tower of St Paul’s Monkwearmouth is the original. The Synod of Whitby in 664 voted for the Roman date of Easter rather than the one used in Ireland, which itself had originally come from Rome. But Southern Ireland – with its own line of communications to the continent and Rome, had already changed as far back as 630. Roman influence increased. One of the great facilitators of this was St Wilfred, but even more so St Benedict Biscop. He visited Rome five times. Not surprisingly he was stunned by the many stone churches and the skills with which they were adorned. On his second visit he stayed at the great monastery at Lerins and was tonsured as a monk. St Theodore of Canterbury, whom he accompanied to England, made him abbot of the Monastery of St Peter and St Paul in Canterbury. 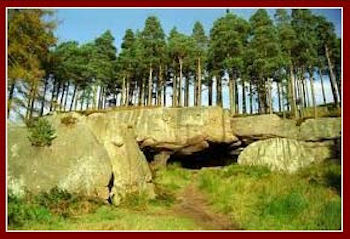 But in 674 he was granted land to build a monastery in Northumbria. So he visited the continent twice to bring back architects, builders and craftsmen of every kind, to begin building after the Roman manner, and not least books, relics and other necessities. In 674 St Benedict founded the priory of Monkwearmouth and another at Jarrow. These were the first stone built churches in Britain and, with their new-fangled glass and paintings on the walls, they must have looked astonishing. They were intended as models for the future. The library at Jarrow became world famous, second only to that of Rome. Some look at the achievement of the Irish monks in Northumbria, and of St Aidan and St Cuthbert in particular, but hesitate about that of St Benedict Biscop and St Bede. But this cannot be done. The Irish had been as thirsty of continental and overseas culture as ever St Benedict was. Irish and English share in abundance stone churches, the love of learning, the skills of book-making and illustration, the astonishing carving on High Crosses, and the hermit life. No difference can be seen between them. The Northumbrians had every right to draw on what Rome had to offer. After all, according to the standards of Orthodoxy, the Pope was always the Patriarch of the West. Ahlfrith, subking of Deira, set up a monastery at Ripon using monks from Melrose, shortly before 664. 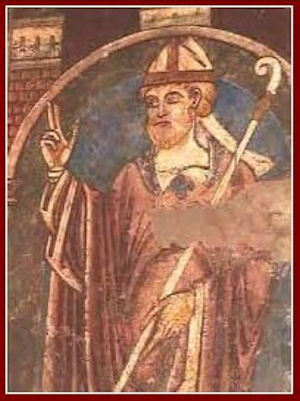 St Wilfred expelled the monks, including St Eata and St Cuthbert, and set it up on Benedictine lines. In 674 St Wilfred founded the abbey at Hexham on ideas that came from Rome – and on the material level with Roman stones taken from Hadrian’s Wall. 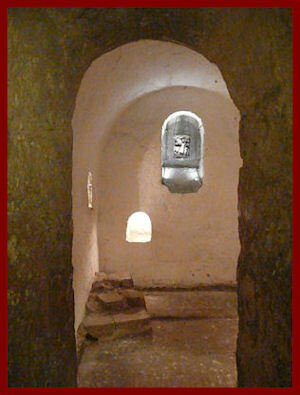 On entering the crypt, built to house the relics St Wilfred had acquired, we almost feel in Rome itself. The monastery produced the Codex Amiatinus the earliest surviving manuscript of the complete Bible in the Latin Vulgate version. 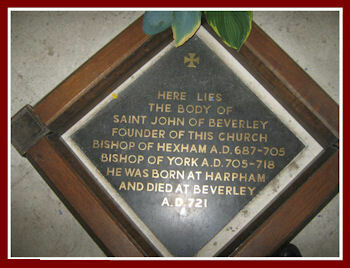 St John Beverley was a monk of Whitby who became Bishop of Hexham as well as Bishop of York. He retired to the monastery at Beverley which he had founded. He was regarded as a saint in his lifetime and died in 721. 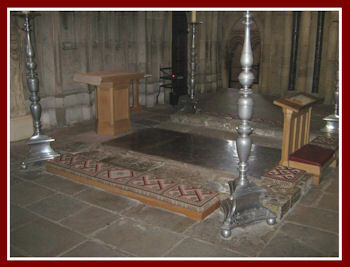 His relics have been reburied in the nave. 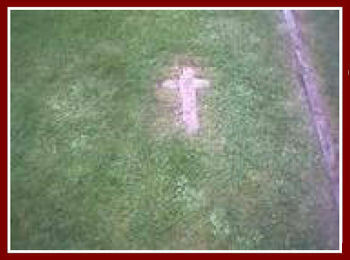 There is a complete 7C church at Escomb west of Bishop Auckland in Co Durham, still standing and still being used. It was built of Roman stone and was frescoed. It may have belonged to an important monastic centre – but beyond that we simply don’t know who could have built it. The remarkable thing is that it has survived. St Everilda (7C) had a large monastery at Everingham Yorkshire, said to have had 980 nuns. Abercorn in West Lothian close to the Firth of Forth. This venture however was shortlived. from the north. It had already lost control over Mercia. The Kingdom was in decline. In this year dire portents appeared over Northumbria and sorely frightened the people. They consisted of immense whirlwinds and flashes of lightning, and fiery dragons were seen flying in the air. A great famine immediately followed these signs, and a little after that in the same year, on 8 June, the ravages of heathen men miserably destroyed God’s church on Lindisfarne, with plunder and slaughter. The Vikings plundered Lindisfarne in 793, Iona in 795 and Wearmouth and Jarrow in 794. It was the end of an era. Iona was abandoned in 843, Lindisfarne.in 875, and Wearmouth-Jarrow sometime in the 9C. The Danes took Northumbria in 867. It became part of the Danelaw. 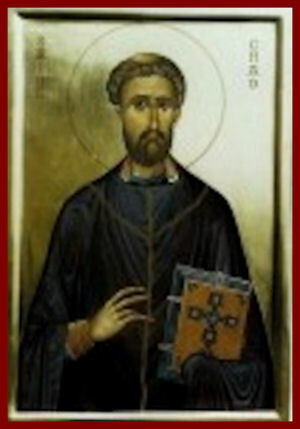 St Cuthbert’s incorrupt body was removed from Lindisfarne when the Danes came in 875. It was taken to several places before resting at Chester-le-Street in Co Durham from 882 to 995 and then, due to further attacks by the Danes, to Ripon in Yorkshire. A church, the predecessor of the Cathedral, was built for him in Durham. The Normans, for all their power and prowess, were always concerned to assert their legitimacy. As the ‘Johnny-come-lately’ they wanted to be seen as respecting the Church and thereby no doubt hoped for some ‘divine protection’. St Cuthbert’s body was an ideal vehicle for the Normans to show this respect and so they built the most enormous building they could in his honour. In this the Normans were not any different from most other conquerors. Many people slate the Normans for breaking tradition – with their loyalty to the Pope and in general preferring all things French. But this argument cuts both ways – the very honour they gave to St Cuthbert exalted him as the greatest local saint there ever was. That affection has always stuck. Remarkably his relics survived the Reformation. 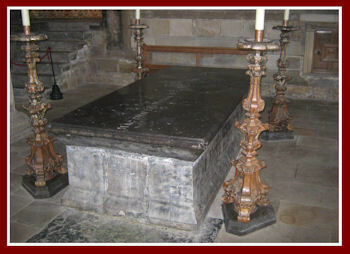 His coffin, his cross, and vestment of Byzantine silk can still be seen at the cathedral, and of course his tomb. His Life expressed the Living Tradition perfectly. Godric was an Englishman and perhaps even a pirate, but he came across Lindifsarne and ‘met’ St Cuthbert. He undertook several ‘pilgrimages’ in the Irish fashion but finally settled down at Finchale where he lived as a hermit for 60 years. We hear once more of a saints kindness to animals and being consulted far and wide, in this case, reportedly no less than by the Pope and St Thomas A Becket. The site, in the bend of the Wear, overlooked by rocks, is typical of the place a hermit might have lived. He died in 1170. After his death a priory soon came into being. The Living Tradition was still alive. Twenty six years later two monks from Durham moved to the site and eventually Finchale Priory was established as a dependency of Durham Cathedral. The inspiration lived on. St John of Bridlington was prior of the Priory at Bridlington in Yorkshire. He was already recognised as a saint at his death in 1379.